Have you ever heard of any never-never land? It means an imaginary place where everything is perfect. 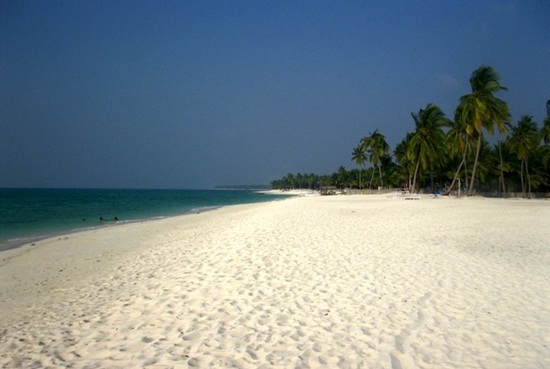 If there is any never-never land in India, it is Lakshadweep in the Arabian Sea on the west coast of Kerala. Lakshadweep is an archipelago of 36 coral islands which are, in fact, the flat peaks of the undersea mountains. Among them, 10 islands are inhabitable for leisurely stay and adventure tourism in the lap of nature. Agatti Island with a regional airport is the gateway to Lakshadweep. Sun-kissed pristine beaches, crystal clear greenish-blue waters, swarms of colorful fish under the sea, coconut trees dotting the beaches and rolling green landscape – all these make the tourist destination under government of India a never-never land. Apart from the virgin beauty of islands that inspires creativity for poetry and painting, Lakshadweep is famous for adventure sports in the solitude of nature. Here adventure is a breath of fresh air unlike sporty activities on the coastal beaches of India. The island beaches with corals and reefs are ideal places for diving and snorkeling which offer the best adventure toasts to the riders on an adrenalin drive. Resorts on some of the islands organize various adventure activities for their guests. Overnight stay on a floating boat is not just a thrilling adventure but also a romantic experience for the honeymooning couples. If you are fond of kayaking, parasailing, windsurfing, canoeing, cruising or jet skiing, there is no reason for you to feel disappointed. Some sports are relaxing, while some are spine chilling. 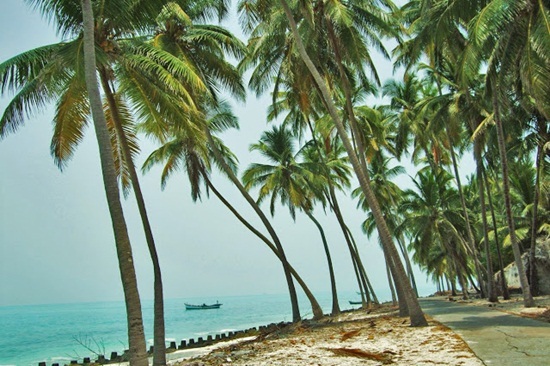 Besides exploring the world under water and catching glimpses of the coral reefs, what you can do on the beaches of Lakshadweep islands is peaceful strolling. Moreover, Lakshadweep is an emerging ecotourism spot in India. It is being promoted as a natural ecotourism destination in alignment with the guidelines, framed by the Union Territory of Lakshadweep, to preserve the wildlife and mitigate the environmental concerns. Biking is the most feasible option to explore the interiors and experience the local lifestyle on some of the islands. Bikes are available on rent per hour or per day. Biking or cycling is a pleasurable activity on Kadmat Island where there are resorts, schools, coconut factories, and a hospital. The best season of Lakshadweep tourism is from October to April. From May to September, it is windy, rainy and rough there. Agatti and Bangaram islands remain open during monsoons too. If you are looking to reach these islands by water, it is difficult to ride the sea in the rains. However if you can brave the odds, you can bask in the glory of fresh greenery all around. Agatti Island is well connected to the coast of Kerala by air and water. Daily flights to Agatti Island are operated from Kochi Airport. Air travel to Lakshadweep takes about one hour and a half. Ships leave for Lakshadweep from Calicut or Kochi. The voyage by ship takes some 22 hours. Smoking, alcohol and drugs are strictly prohibited on the islands. Swimming or sun bathing naked is a big ‘NO’. The tourists on visit are required to comply with the rules and regulations, for the ecological and environmental wellbeing of the islands. IndianEagle.com books the cheapest flight to Kochi International Airport, Kerala. Grab the opportunity of flying at the lowest airfare before the season of Lakshadweep tourism is over by the mid of May.